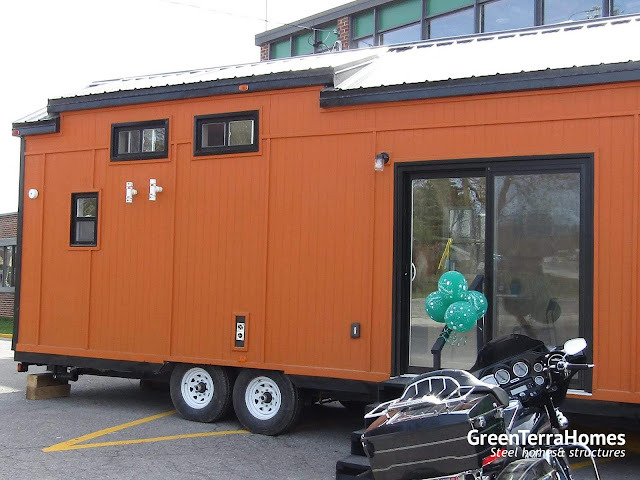 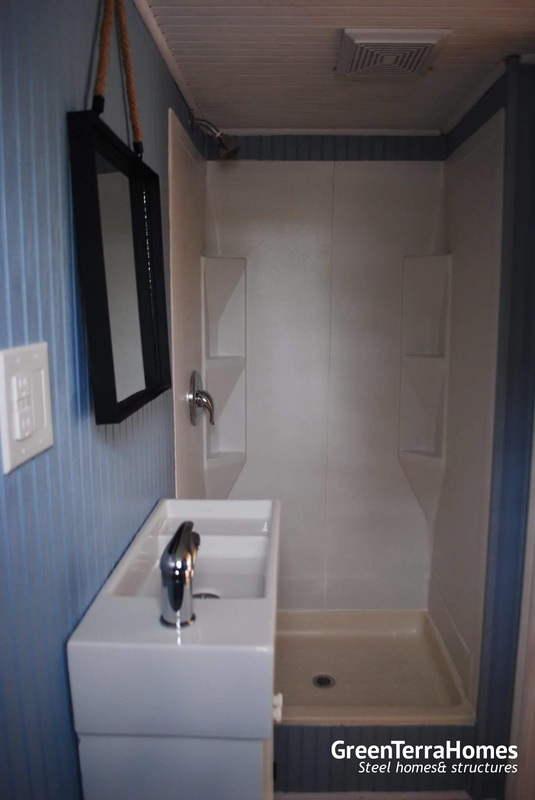 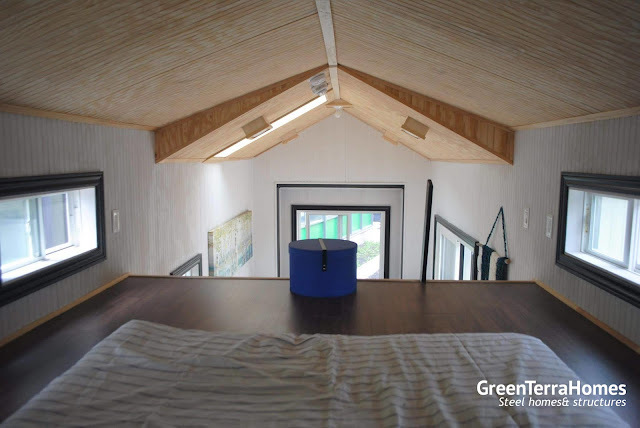 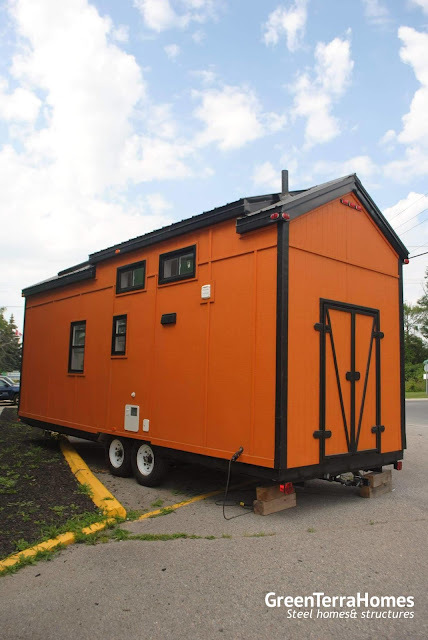 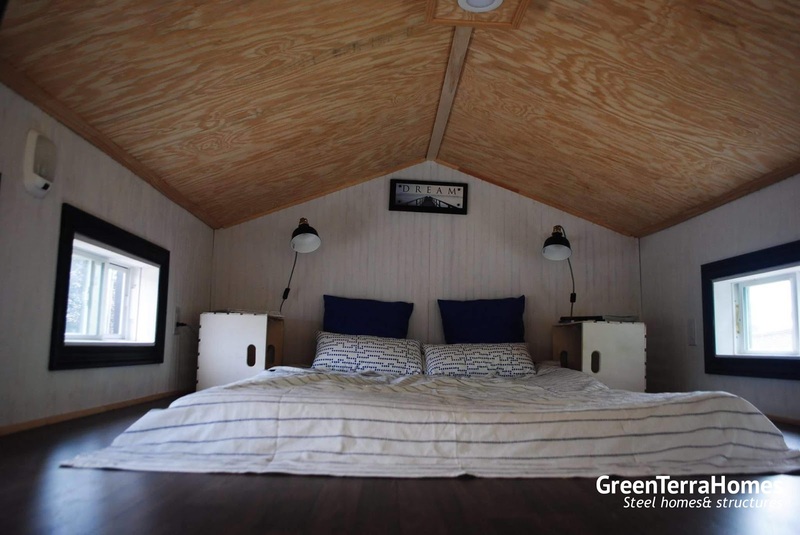 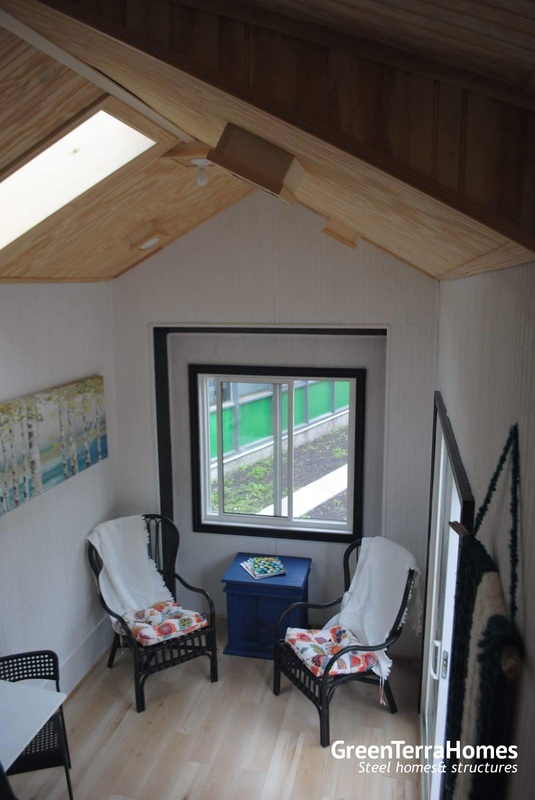 Check out this beautiful prefab home from Green Terra Homes of Trenton, Ontario! 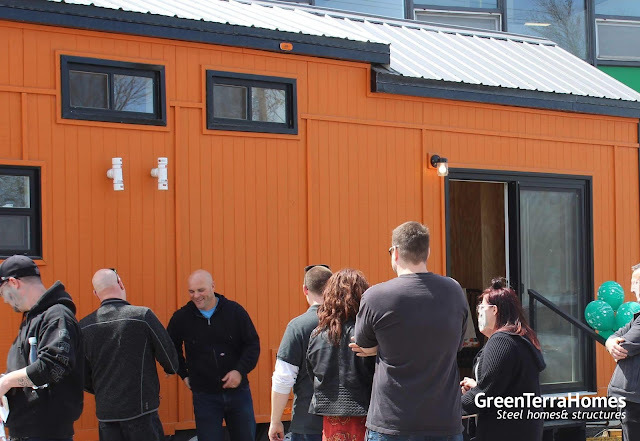 The home features a sleek, contemporary exterior with a “rough” tongue and groove exterior and a premium steel roof. It also comes with insulated walls and flooring making it perfect for four-season living. 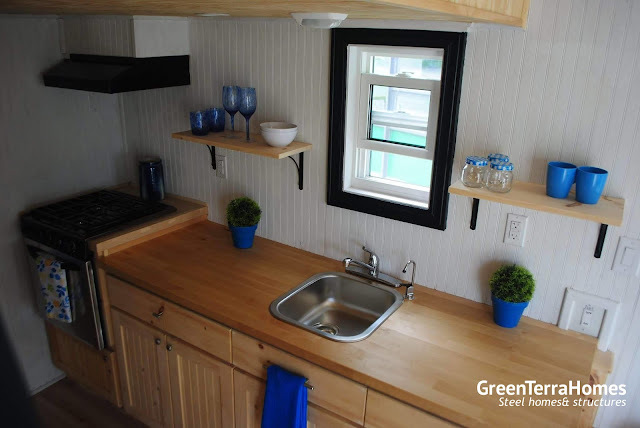 Inside the home’s 310 sq ft interior is a smooth pine T&G interior. The kitchen comes outfitted with a deluxe propane oven/stove, a stainless steel fridge/freezer, custom cabinets, and a kitchen sink. 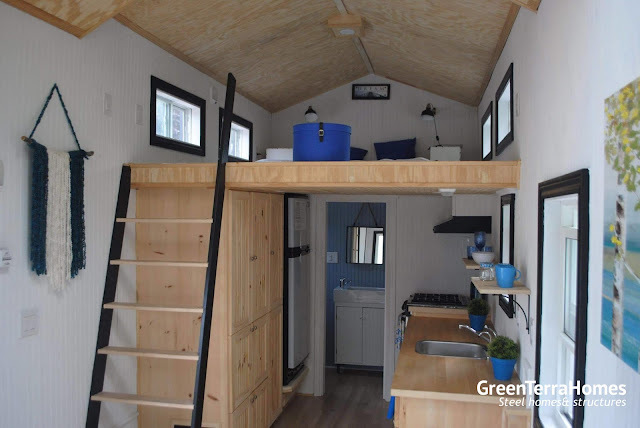 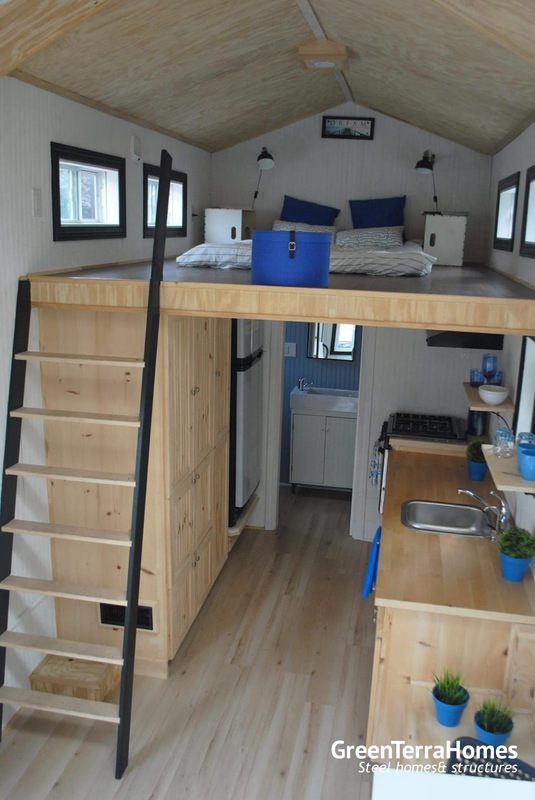 There’s also a living room with a propane furnace, a loft bedroom, and a bathroom with a composting toilet. 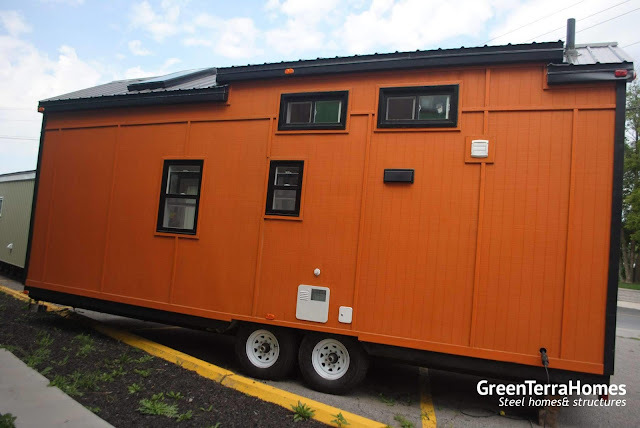 There may even be financing available to approved applicants! 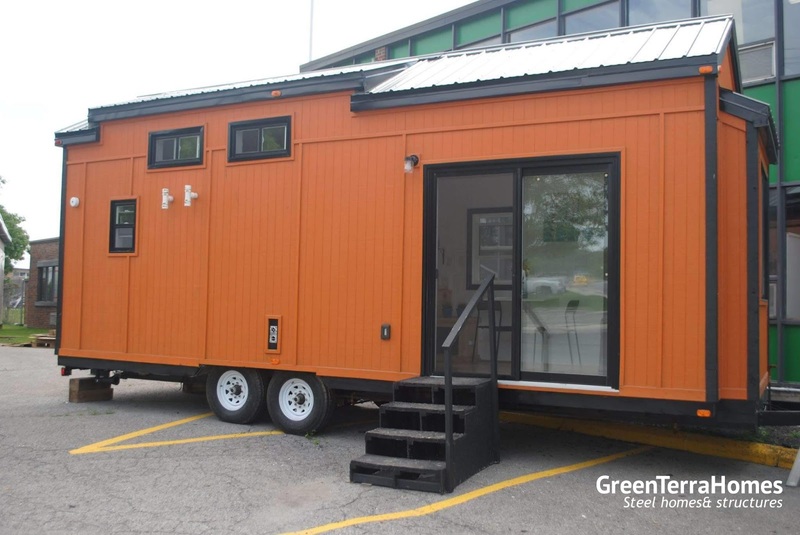 For more information about this house, contact Green Terra Homes here!